Andy Hanley on the director of Letter to Momo. 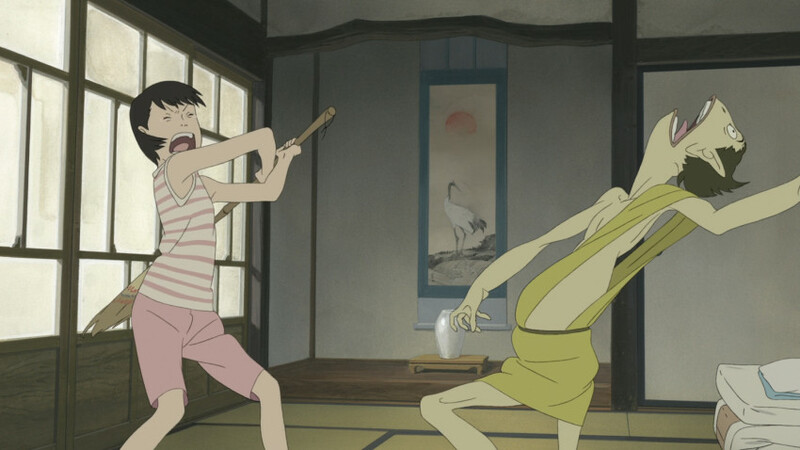 When it comes to well-known anime film directors, it’s easy to pigeon-hole them in the expectation that their works will adhere to a particular genre or style – mention Hayao Miyazaki, Mamoru Hosoda or Makoto Shinkai, and most fans of the medium will instantly be able to conjure up a specific tone, narrative style or aesthetic in their minds. This certainly isn’t the case when it comes to Hiroyuki Okiura, the writer and director of A Letter to Momo – if you were to watch this film and then visit his other directorial work expecting more of the same, you’d be in for a shock. If anything, this charming and family-friendly film is not just an outlier in his career, but also a reaction to his previous theatrical outing as a director. You have to travel all the way back to 1999 for Okiura’s directorial debut, in the form of Jin-Roh: The Wolf Brigade, which also saw him handling both the character designs and screenplay. 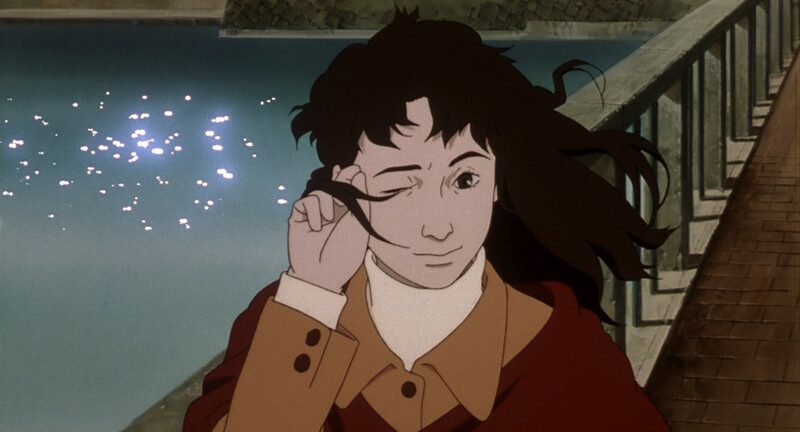 It was based on part of Mamoru Oshii’s Kerberos Saga manga, although Oshii himself was blocked from directing the film, so he instead recommended Oshiura for the job on the strength on his animation supervision and layouts on Ghost in the Shell. Jin-Roh’s vision of an alternate 1950s Japan under German rule takes in death, terrorism and suicide bombings. 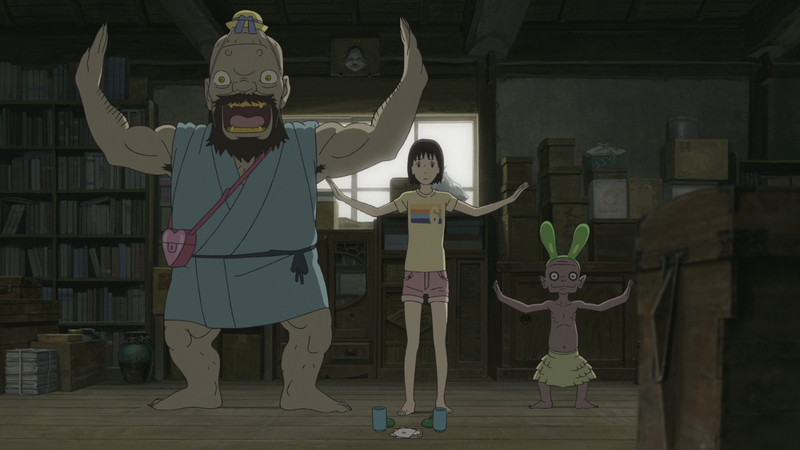 It’s a far cry from the idyllic island setting of A Letter to Momo, and as the director himself has noted the film could be seen as a reaction to Jin-Roh, born of his desire to tell heart-warming and uplifting stories with a more personal touch to them. But there are clear lines that can be drawn from A Letter to Momo to Jin-Roh and even further back into Okiura’s career as an animator and animation director. In particular, Okiura’s excels in a sense of expressive realism in how characters move and behave – something which adds greatly to the impact of his works, whether it’s the dark themes of Jin-Roh, the slapstick comedy of A Letter to Momo, or the kinetic action of the opening sequence to Shinichiro Watanabe’s Cowboy Bebop movie, for which he was both director and key animator. When you have to answer questions on whether rotoscoping techniques have been employed in your film (as was suggested and subsequently denied by the director himself in Jin-Roh’s case) you must be doing something right. Such satisfying, fluid movement enables great physical comedy, of vital importance to Okiura’s latest work as a director and writer, with his work for Studio Khara as part of Evangelion 3.0’s animation team leading to a berth on the studio’s Japan Animator Expo project. 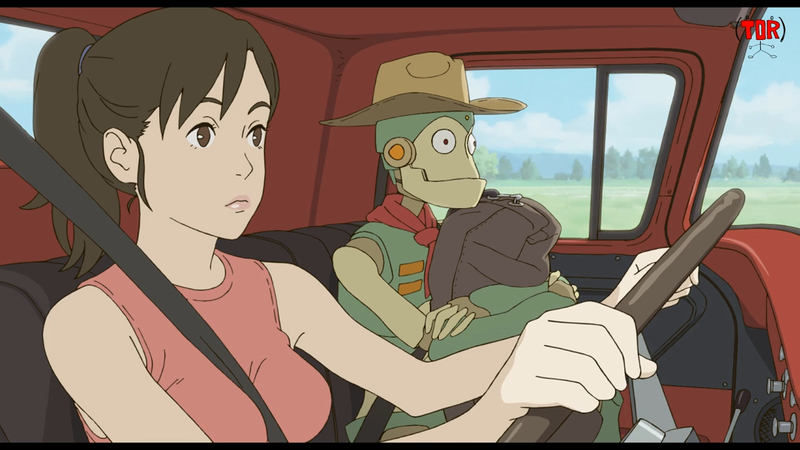 The result was Robot on the Road, a short film that at first glance could be mistaken for having the same whimsical, family friendly charm as A Letter to Momo. However, don’t be fooled by those initial visual similarities, as its comedic tale of a perverted robot hitchhiker using his disarming charm to get lifts from pretty girls he wants to ogle isn’t quite kid-friendly. Considering that A Letter to Momo took seven years from the birth of its original concept through to its completion as a project, one suspects that the brief nature of Robot on the Road made for a satisfying change of pace, but what next for 49-year-old Hiroyuki Okiura? With an impressive CV that stretches from his entry into the animation business at the age of 16 and has taken in many seminal series and films spanning from Akira to Paprika, the chances seem strong that it’ll be something just as noteworthy, even if it takes years to come to fruition. Hiroyuki Okiura’s Letter to Momo is released in the UK by Anime Ltd.